UNA SF is looking for qualified mentors with experience in foreign or domestic policy, humanitarian action, social entrepreneurship, activism, and other related areas to mentor young professionals who want to align their careers with the UN Sustainable Development Goals. If selected and approved by the Board of Directors of the United Nations Association of the USA, San Francisco Chapter, you would be receiving requests from our officers and volunteers whenever they identify you as a good fit for a specific mentoring case. Concrete expectations and time commitment would be specified in each request. You would have control over how many requests you are willing to receive and which requests you would like to respond to, however, mentors who consistently deny or ignore requests will be removed from the pool and lose their status. 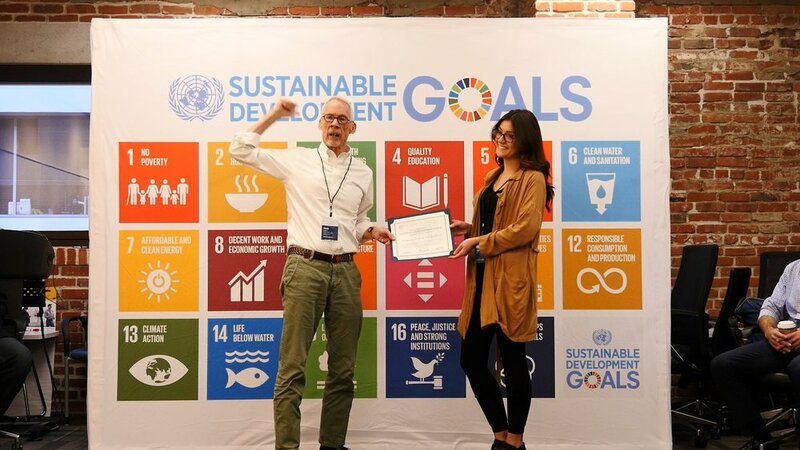 The primary mentoring format currently offered by the UNA SF is a 3-month commitment to mentor a participant of the Young Professionals for Sustainable Development Goals Seminar Series. More formats are likely to be added in the future. "Mentor of the United Nations Association of the USA, San Francisco Chapter" ("UNA SF Mentor") is an official status granted by the Board of Directors with the right to present this status on resume/CV, social media, and through other relevant channels. This status is a recognition of expertise and dedication to public service in support of the United Nations Agenda 2030. To be considered, please fill out this application form. We will contact you if you are selected or if we need further information.